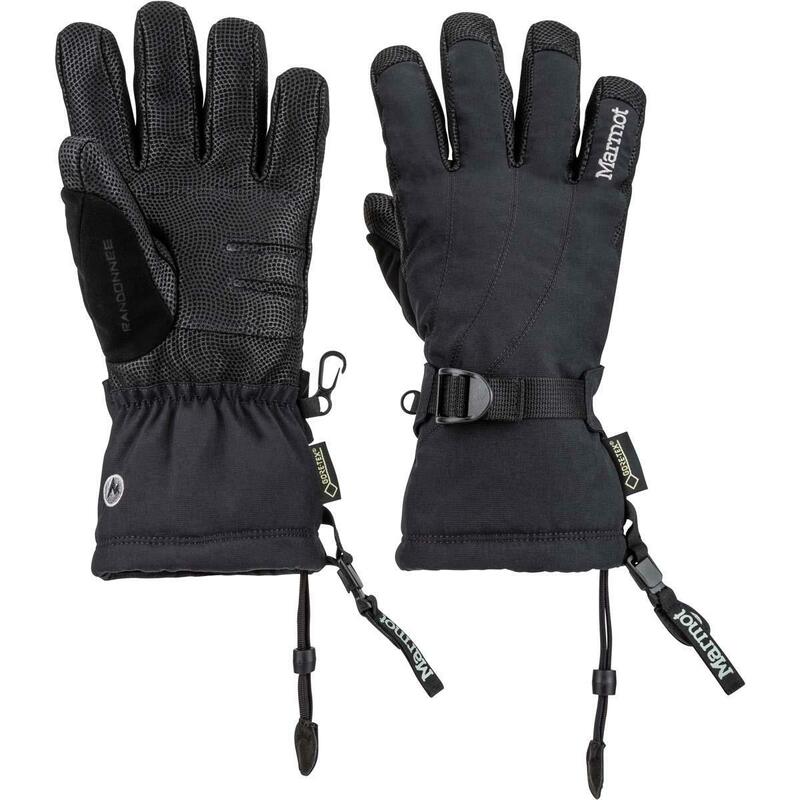 From Marmot: Tough leather reinforcement, Thermal R insulation and the industry's best GORE-TEX insert have made the Randonnee one of our most beloved gloves among skiers and guides. Dexterous Falcon Grip precurved fingers and gauntlet quickdraw one-handed drawcord keep hillside fumbling to a minimum. Pros: Great glove, great price! This purchase was to replace the SAME exact glove I've had for the past 6yrs., getting worn out now! The new ones are wonderful as I expected. I'm an avid skier.